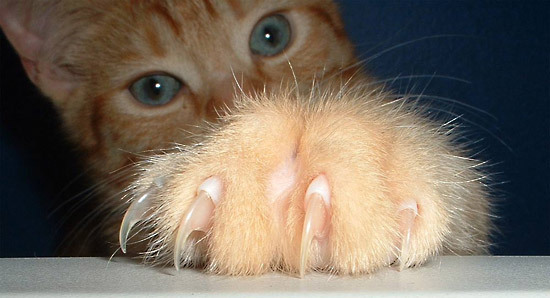 Is declawing always animal cruelty? – FIREPAW, Inc.
Is declawing always animal cruelty? Veterinarians are divided on whether declaw surgery is abhorrent or key to keeping some cats alive. Many cat owners continue to have the family feline declawed, chiefly driven by a desire to prevent kitty from scratching up the furniture. But the surgery is the subject of a growing divide in the veterinary community, with critics saying it amounts to a painful amputation that can lead to behavior problems in cats and others arguing that it prevents some owners from euthanizing scratch-happy cats. About 20 countries, mostly in Europe, have banned the procedure, as have San Francisco, Los Angeles and six other California cities. Some veterinary clinics refuse to perform the surgery. For those passionate about this topic, a modest political thriller is playing out in New Jersey. The pivotal next scene involves the bill advancing through the state Senate. And if it does, the climax would unspool in Gov. Chris Christie’s (R) office, where he’ll decide whether to sign it. Do bans on cat declawing trigger an increase in cats abandoned to shelters? A FIREPAW reader argues that cat declawing bans do not cause an increase in the number of cats surrendered to public animal shelters. See it here. Pingback: Do bans on ‘cat declawing’ increase the number of cats surrendered to public animal shelters? – FIREPAW, Inc.